Can You Really Travel While Accumulating Wealth? 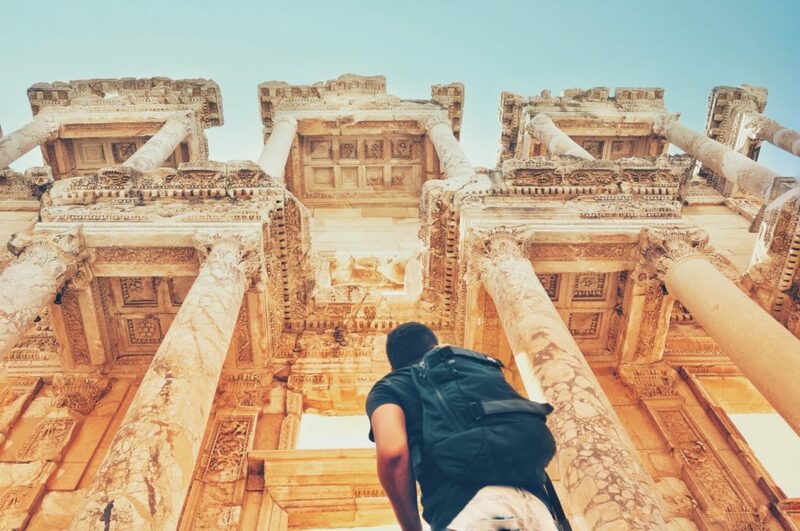 Traveling and accumulating money is easier to do now than ever before. There are currently over 54 million freelancers working in the United States alone. By the year 2020, freelances should make up 43% of the workforce. Freelancers work where they want and generally set their own schedules. This is an ideal scenario for those of us who are interested in traveling. There are many ways you can still accumulate wealth while traveling. Thanks to the growing number of remote jobs, becoming a digital nomad while managing to accumulate wealth is now possible. The global payment platform, Payoneer, recently conducted a survey that aimed to discover the average earnings of freelance workers across the world. They surveyed 23,000 freelancers spanning across 180 countries. On average, they found that the workers surveyed earned a salary of $39,000. That’s more than enough to live on, which means it’s entirely realistic to accumulate wealth while working for yourself. Wealth accumulation ultimately comes down to a very simple formula. You need to consistently earn more money than you spend. Repeat this process long enough and you’ll begin to accumulate significant wealth. If you’re like the average freelancer, that means you need to spend less than $39,000 a year in order to amass wealth. Working for yourself is enticing because it gives you the opportunity to live and travel wherever you want. However, don’t mistake this freedom of movement for the ability to accumulate wealth no matter where you live. For instance, the median rent for a one-bedroom apartment in San Francisco is $3,460. That’s over $40,000 a year! Comparatively, the average one-bedroom apartment in Colorado costs an average of 1,147 per month or $13,764 per year. If you want to become a digital nomad, keep this idea at the forefront of your plans. You can find incredibly beautiful places to live and visit without breaking the bank. Ultimately, prioritizing cities that cost less could be the difference between accumulating wealth while freelancing or not. Before you make the jump to working for yourself, you should be mindful of what your move will give you and what it will take away. Freelancers generally don’t receive any type of benefits. Of course, working for yourself gives you the freedom to make your own schedule, choose your own clients, and live where you want. However, it also takes away the stability of having a full-time job. As a freelancer, you won’t be able to rely on receiving a consistent paycheck just for showing up somewhere 40 hours a week. Instead, you’ll have to spend part of your time identifying sources of potential income. Then, you’ll need to hustle hard to make what you need each month to support yourself. Accumulating wealth as a digital nomad is a very real possibility now. However, it requires careful planning, smart travel and living arrangements, and of course, finding a job that you can do anywhere. If you can manage this delicate balance, you could start living out your dreams of seeing the world while still planning for the future in terms of your finances. What’s better than that?